oil on canvas, 76 x 51 1/8 inches, 193 x 129.9 cm, Artmuseum, Basel. The Sotheby's catalogue of April 2008 describes "Etude Pour "La Femme en Bleu" as "heroic," adding that "this spectacular image is one of the movement’s most enduring achievements, and a milestone on the path to abstraction." 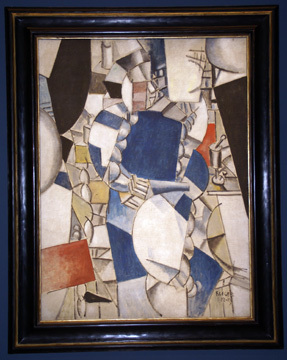 The first version of this work is the same size and was kept by the artist in his private collection until his death when it was given to the Musée National Fernand Léger in Biot. 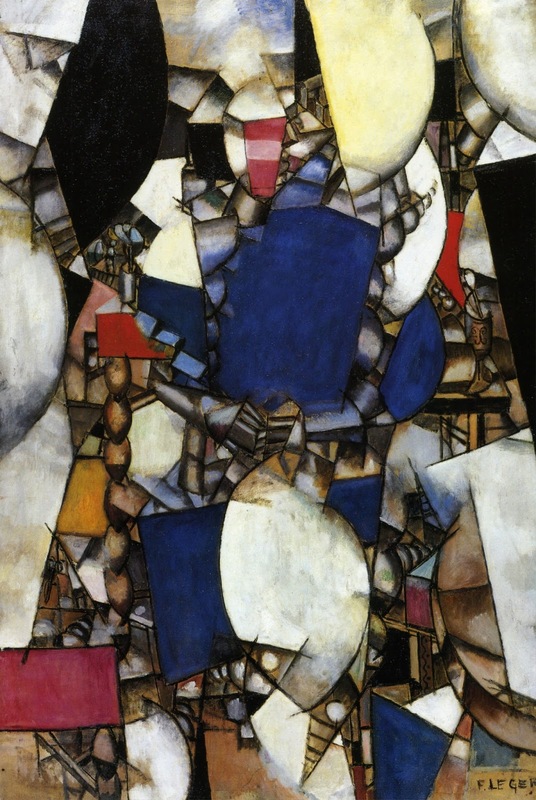 The second version, which was the largest, was included in the annual Salon in Paris and in the Armory Show in New York in 1913 and eventually wound up in the Basel Kunstmuseum.